Current Miss South Africa, Ntandoyenkosi Kunene says Heritage Day is a day on which South Africans celebrate each other's cultures and learn more about the heritage of others. Speaking to MorneJK, Ntandoyenkosi said it is also important to preserve your heritage for future generations. Heritage Day for me means a celebration of culture. A celebration of who I am and my cultural background, where I come from and everything that has to do with Who Ntando is - that is Heritage Day for me. 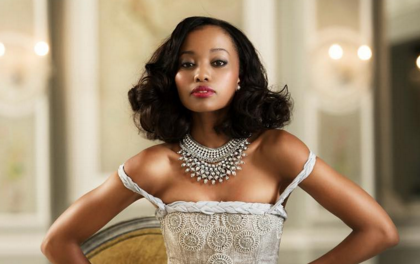 Ntando is a township girl from Mkhondo in Mpumalanga. That is who I am and I have dreams an ambitions. I am a proud black girl - that is just who I am. It is important to celebrate Heritage Day, especially in South Africa. We are the melting pot of diversity and all culture and languages which means we are very rich when it comes to that. So when you celebrate, we share who we are. We share with other people and they, who they are, with us. In that way we all learn more about each other's so it is important to share those kinds of experiences. How will you be celebrating Heritage Day? I am going to be going to a couple of events that are around heritage and about celebrating culture. I am looking forward to spending it with a lot of amazing South Africans. Is enough being done to preserve our different cultural backgrounds? I think it is debatable. There is more that can be done to teach children about their heritage but we can't only rely on educators to do that. Parents need to remind their children where they come from and who they are. What is your message to South Africans on Heritage Day? Go out there and show South Africa who you are. Share your culture with everyone at school or in the work place. Enjoy being South African in sharing who you are, with another person.